Katherine Weislogel has joined Synovus as executive director of treasury and payment solutions. A 26-year banking veteran with extensive experience in the treasury, cash management and payments sector, Weislogel was previously with BMO Harris Bank in Columbus, Ohio, where she served a dual role as managing director and team leader of the U.S. commercial treasury and payments solutions business for the bank's expansion markets, as well as the sales, strategy and support team. 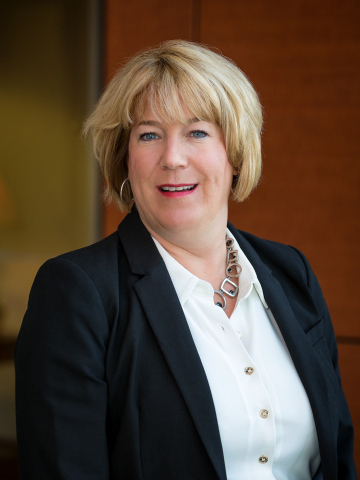 "Katherine is a proven leader who has consistently demonstrated an ability to lead the growth of treasury management functions at Fifth Third, Wells Fargo (News - Alert) and most recently at BMO Harris," said Kevin Blair, senior executive vice president and chief operating officer of Synovus. "She has a ong history of developing teams, executing sales strategies, and delivering financial goals and objectives. We are very pleased to have Katherine lead our treasury and payments business." Weislogel joined Fifth Third in 1993 and held positions of increasing responsibility in retail and commercial banking, including treasury and sales management from 2009 to 2014. She served as senior treasury management consultant for Wells Fargo from 2014 to 2016, and then joined BMO Harris. She will relocate with her family from Columbus, Ohio to Columbus, Georgia. Weislogel is a graduate of Miami University. Synovus Bank, a Georgia-chartered, FDIC-insured bank, provides commercial and retail banking, investment, and mortgage services together with its affiliates through 300 branches in Georgia, Alabama, South Carolina, Florida, and Tennessee. Synovus Bank was named one of American Banker's "Best Banks to Work For" in 2018 and has been recognized as one of the country's 10 "Most Reputable Banks" by American Banker and the Reputation Institute for four consecutive years. Synovus Bank is on the web at synovus.com, and on Twitter, Facebook, LinkedIn, and Instagram. Equal Housing Lender.